Chihiro: [reading a card] I'll miss you, Chihiro. Your best friend, Rumi. Q: How long was Chihiro in the other world? Q: Is 'Spirited Away' based on a book? Q: What do the workers at the bathhouse represent? 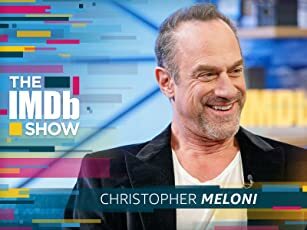 A stunning, intoxicating, magical masterpiece. There is simply no denying that Miyazaki is the Godfather of Japanese Animation, time and time again delivering unto the public works of such incredible beauty, such stunning visual and sensory delights, such mastery of storytelling, that one can only be left speechless. Overwhelmed. Intoxicated with wonder. Such is the magic of Spirited Away. 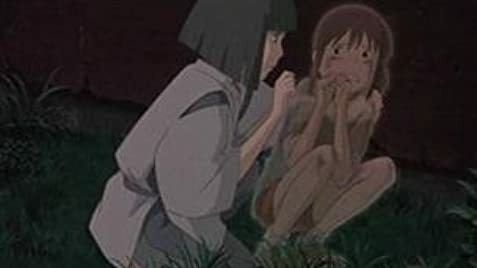 Much like Miyazaki's previous feature Princess Mononoke, Spirited Away is an epic fairytale fantasy that deserves no better medium than the stunning animation work of Studio Ghibli. This multiple award-winning masterpiece has grown to become the largest grossing film in Japanese history, and rightly so. From the moment our child heroine Chihiro enters the bath houses we are literally bombarded with an overwhelming sense of detail and rich, lavish colours rarely - if ever - seen in western animation. Scenes such as Chihiro running through the field of flowers, the marvellous landscapes seen from the train, Haku and Chihiro soaring the skies above, and Chihiro running across the pipe to climb the walls of the bath house are nothing short of breathtaking, and undoubtably some of the most lavish animation ever to hit the screen. 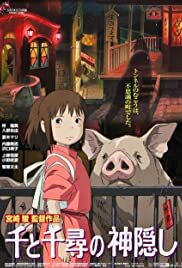 The world of Spirited Away is simply bustling with life; unique, quirky, instantly lovable creatures jostling about their daily activities and tasks in the bath houses, dancing across the screen like leaves caught in a playful summer breeze. The inventiveness of Miyazaki's character designs, much like in Mononoke, is wonderful to behold, in fact not since classic tales like Lewis Carroll's Alice In Wonderland and The Neverending Story have we been able to fall hopelessly in love with such original, quirky, magical, even fantastical characters. The viewer is plunged headfirst into another world for nearly two hours and one cannot help but be completely and utterly captivated. The music and original score is stunningly beautiful, the original Japanese language track of such high quality that one wonders why someone could insult the work by producing a dub track at all. With a plot differing in its complexity on so many levels, from the basic storyline, to the omnipresent universal themes, to the riddling of Japanese history and fable throughout, children and adults alike will be mesmerised from start to end. A magical, awe-inspiring, tearful, laughter-filled, heartfelt journey through a land of sweeping fantasy and dreams. 433 of 497 people found this review helpful. Was this review helpful to you?